Are You Making these Top 10 Most Common Nutrition Mistakes? It is very easy to make mistakes regarding your nutrition and diet. You probably live a very busy and hectic lifestyle. 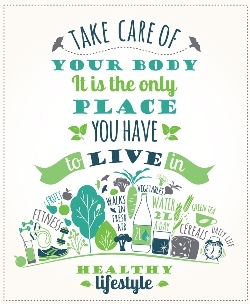 That means you are going to treat your body negatively, concerning what you are eating, from time to time. Accidents happen. However, there is no need to intentionally make nutrition mistakes that you think you are helping you, but aren’t. In your defense, you may have been told the wrong information. Even some well-meaning gurus and fitness experts stumble across poor pieces of info they firmly believe, because this knowledge has been reinforced their entire life. Make sure you are not making the following 10 most common nutrition mistakes, and you will start seeing and feeling positive health results where they may have eluded you in the past. You might plan on going for a run or playing basketball with your friends for some exercise. That’s great. Both of those aerobic activities shred fat, regulate a healthy body weight and develop long, lean, strong muscles. However, unless you plan before time, you might be missing out on the most effective way to maximize your exercise. Ask 10 personal trainers and you will get 10 different answers regarding exactly when you should eat after working out for the best results. But just about every veteran in the physical fitness and exercise communities will agree that the window of opportunity for maximizing your nutrition benefits is 30 minutes to 60 minutes after you exercise. So any time you exert yourself physically, plan to take in some carbohydrates and protein within an hour after working out. We now know that a diet high in wheat consumption can lead to diseases such as autism and schizophrenia. If you eat a lot of whole wheat because you were told it is healthier than white bread, you have been misled. Whole wheat can lead to high cholesterol levels, and contains high levels of gluten. This can lead to chronic fatigue, physical pain and digestive issues in many people. Stay away from refined whole-wheat products. Shiny object syndrome is a term which is used in the Internet marketing community. But it also applies here. If you are constantly chasing after the latest new thing, the next shiny object, regarding nutrition, you are going to make a lot of mistakes along the way. Don’t chase the latest hyped-up nutrition trend that is being touted as a miracle cure or muscle building food. You already know everything you need to about fitness nutrition. You need to eat plenty of fruits and vegetables, stay hydrated and get plenty of rest. After a workout you need carbohydrates and protein. Try to minimize or totally eradicate processed foods, refined salt and sugar from your diet. Do these things and exercise frequently, and stop pursuing every new nutrition trend that rolls along. In most cases, drinking fruit juice means you may as well pour a bag of sugar down your throat. Did you know that most orange juices have the same amount of sugar as the equivalent serving size of your favorite soft drink? That same glass of orange juice often contains more sugar than 5 or 10 oranges as well. Eat fruit, which has wonderfully healthy dietary fiber, to get your fruit juice. Making this mistake is akin to saying that a little heroine is okay. Drinking a little gasoline will not harm you. Laying your hand on a hot stove burner for just a second won’t do much damage. As you can already see from these examples, a little bit of a bad thing is not okay. You will often times here nutritionist and fitness experts saying that it is okay to reward yourself “every now and then” with a large greasy pizza or double bacon cheeseburger. The problem is that eating these yummy but “bad for you” foods is not really okay once in a while. Also, once in a while can eventually lead to eating unhealthy foods on a regular basis. Trans fat is bad for you, period, end of discussion. There is no healthy amount of trans fat you can get in your diet. Refined salt and sugar are bad for you. Your body does not need them. You can live the rest of your life in a very healthy manner with zero McDonald’s drive through lunch breaks. If you reward yourself from time to time with unhealthy food, just make sure that you are not lying to yourself about what you are doing. The exact opposite is actually the case. Study after study has shown that eating a nutritious diet is easily done without spending exorbitant amounts of money. You can actually save hundreds or even thousands of dollars on your annual grocery bill by ditching unhealthy foods and purchasing nutritious ones. In any case, if eating right, living healthier and longer, feeling and looking better cost a few more dollars than killing yourself and feeling horrible all the time by eating bad food, wouldn’t it be worth the extra money? Big government is big money. Did you know that the notorious “Food Pyramid” nutrition guidelines handed down by the US government were directly influenced by the dairy and meat councils in the United States? They gladly recommended what they felt was a diet plan which would benefit their company’s financially. This does not mean eating red meat and drinking whole milk is good for you. It definitely is not. If you still don’t believe that such government recommendations are manipulated by large food companies and organizations, check this out. The United States government has classified ketchup as a vegetable. A tomato is a vegetable. The processed nasties and preservatives, salt and other nutritionally harmful chemicals and junk in ketchup are definitely not vegetables. Eat whole foods, fresh and raw vegetables and fruits, be smart with your dairy and meat intake, and stop relying on the government to tell you what is good for you. Some folks believe their genetic makeup predisposes a particular level of health. This is simply not the case. Doctors and geneticists now know that nutrition and exercise can control as much as 80% to 90% of your level of physical fitness, your weight and the shape and appearance of your body. Basically put, eating right and keeping physically active trumps your overweight and out of shape family history every time. 9 – Skinny Means Healthy, Right? In 2015, there are roughly 7 billion human beings roaming around on planet Earth. Some of those people are skinny. Some are fat. Some are tall, short, medium, or “average” and every body shape imaginable is represented in that population. Accordingly, some of those skinny people are very healthy. But every person is different. Down to the molecular level, you are not exactly like anyone else that has ever been born, or will ever live. That means that one skinny person may be exceptionally unhealthy, while a person who is 30 pounds over the “recommended” wait for their height and age may be exceptionally healthy. Skinny does not automatically equate to healthy. It may or may not be a sign of good health. The efficacy of vitamins is still in question, decades after their global acceptance. Some vitamins may help supplement your health in particular areas. But nothing impacts your nutrition positively like a diet low in processed foods and rich in vegetables, fruits and whole foods. Beware of quick fixes and shortcuts being sold to you by profit-driven companies.